Electronic cigarettes (e-cigs) are often promoted as a safe alternative to conventional tobacco-based cigarettes and as an aid to smoking cessation. The use of sweet and fruit-based flavorings, as well as targeted marketing strategies to attract teens, have resulted in a significant uptake in the use of these products in middle and high school students in the US.1 Potential customers can select from a vast array of flavoring options, and access information about e-cigs via social media and other online sources, as well as traditional marketing communication channels and face-to-face interaction with vape shop employees. The availability of sweetened and flavored brands has heightened their appeal for young people. However, despite substantial increases in e-cig consumption, little is known about the long-term health consequences of their use. In an expert interview, Mary Cataletto discusses these issues, as well as a recent position statement of the Forum of International Respiratory Societies (FIRS) on the use of e-cigs in youths. Mary Cataletto has nothing to declare in relation to this article. This article is published under the Creative Commons Attribution Noncommercial License, which permits any non-commercial use, distribution, adaptation and reproduction provided the original author(s) and source are given appropriate credit. © The Author 2018. Q. How prevalent is the use of electronic cigarettes in children and adolescents? Q. What role do flavorings play in adolescent electronic cigarette use? Q. What has been the adult experience with flavored electronic cigarettes as an aid to smoking cessation? Adult smokers are also influenced by flavorings, and the dual use of e-cigs and conventional tobacco is not uncommon.8 Many adults prefer menthol or tobacco flavor as they start to quit smoking, although sweet flavors become more popular as they continue to use e-cigs.3–4 It remains unclear whether e-cigs are an effective aid to smoking cessation. Q. Why is the use of sweetened electronic cigarettes among minors a controversial issue? Q. What is being done to discourage the use of these products among minors? FIRS issued a position statement on e-cigs and electronic nicotine delivery systems use in youth. FIRS reflects a collaboration of professional organizations and respiratory experts; it is made up of nine international societies: the American College of Chest Physicians, American Thoracic Society, Asian Pacific Society of Respirology, Asociación Latinoamericana de Tórax, the European Respiratory Society, the International Union Against Tuberculosis and Lung Disease, the Pan African Thoracic Society, the Global Initiative for Asthma and the Global Initiative for Chronic Obstructive Lung Disease. ‘1. To protect youths, [electronic nicotine delivery systems] should be considered tobacco products and regulated as such, including taxation of electronic cigarettes and supplies. The addictive power of nicotine and its adverse effects in youths should not be underestimated. 2. Considering the susceptibility of the developing brain to nicotine addiction, the sale of electronic cigarettes to adolescents and young adults must be prohibited by all nations, and those bans must be enforced. 3. All forms of promotion must be regulated and advertising of electronic cigarettes in media that are accessible to youths should cease. 4. Because flavourings increase rates of youth initiation, they should be banned in electronic nicotine delivery products. 5. As electronic cigarette vapour exposes nonusers to nicotine and other harmful chemicals, use should be prohibited in indoor locations, public parks, and places where children and youths are present. 6. While their health risks are increasingly recognised, more research is needed to understand the physiological and deleterious effects of electronic cigarettes. Wang TW, Gentzke A, Sharapova S, et al. Tobacco product use among middle and high school students - United States, 2011–2017. MMWR Morb Mortal Wkly Rep. 2018;67:629–33. US Food & Drug Administration. Youth tobacco use: National Youth Tobacco Survey. 2018. Available at: www.fda.gov/TobaccoProducts/PublicHealthEducation/ProtectingKidsfromTobacco/ucm405173.htm (accessed January 22, 2019). Huang LL, Baker HM, Meernik C, et al. Impact of non-menthol flavors in tobacco products on perceptions and use among youth, young adults and adults: a systematic review. Tob Control. 2017;26:709–19. Harrell MB, Weaver SR, Loukas A, et al. Flavored e-cigarette use: characterizing youth, young adult, and adult users. Prev Med Rep. 2017;5:33–40. Centers for Disease Control and Prevention. Quick facts on the risks of e-cigarettes for kisd, teens, and young adults. 2018. Available at: www.cdc.gov/tobacco/basic_information/e-cigarettes/Quick-Facts-on-the-Risks-of-E-cigarettes-for-Kids-Teens-and-Young-Adults.html?s_cid=osh-stu-home-slider-004%20 (accessed January 22, 2019). Zhu SH, Sun JY, Bonnevie E, et al. Four hundred and sixty brands of e-cigarettes and counting: implications for product regulation. Tob Control. 2014;23 Suppl. 3:iii3–9. Kroemer NB, Veldhuizen MG, Delvy R, et al. Sweet taste potentiates the reinforcing effects of e-cigarettes. Eur Neuropsychopharmacol. 2018;28:1089–102. Kasza KA, Ambrose BK, Conway KP, et al. Tobacco-product use by adults and youths in the United States in 2013 and 2014. N Engl J Med. 2017;376:342–53. Schraufnagel DE. Electronic cigarettes: vulnerability of youth. 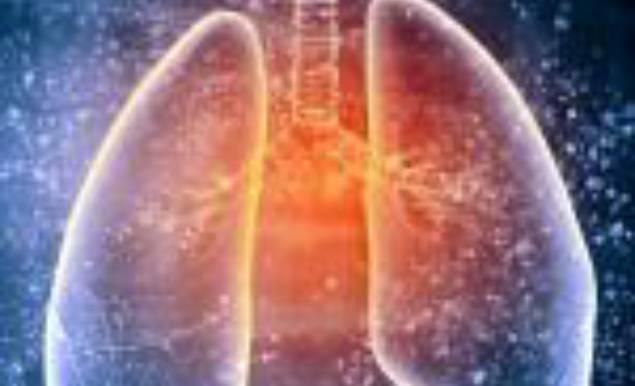 Pediatr Allergy Immunol Pulmonol. 2015;28:2–6. Lodrup Carlsen KC, Skjerven HO, Carlsen KH. The toxicity of e-cigarettes and children’s respiratory health. Paediatr Respir Rev. 2018;28:63–7. Ferkol TW, Farber HJ, La Grutta S, et al. Electronic cigarette use in youths: a position statement of the Forum of International Respiratory Societies. Eur Respir J. 2018;51:pii:1800278. Farsalinos K. Electronic cigarettes: an aid in smoking cessation, or a new health hazard? Ther Adv Respir Dis. 2018;12:1753465817744960.